Whether you have a doggy or a kitty (or something more unusual), there are times when, no matter how well house trained they are, ’accidents’ happen. Soiling accidents are an inevitable part of the pleasure of owning an animal, but they can be a nuisance to clean. 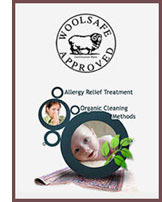 Animal soiling inside your house can leave odours for a long time, and can stain your beautiful carpets. Here are a few sure fire ways to remove pet stains and odours. Urine soiled areas can be hidden, and hard to treat since they are relatively colourless and can soak right into carpet fibres. To treat fresh urine-wet areas, blot up as much of the wet area as you can with old rags or paper towels. Then you can use a warm water and disinfectant to wash and clean the area, blotting, rather than rubbing-in the water. Alternatively, you can use 3 parts warm water with 1 part white vinegar to clean the spot. When the spot is almost dry, if there is a stain, you can then apply a stain remover such as baking soda and leave to dry, then vacuum. If the stain persists, call Refresh Carpet Cleaning. We will apply urine spot treatment chemicals. Alternatively, you can try a stain/odour removal spray available from your local supermarket, or your vet. Cleaning poop is a little messier and you will need a paint scraper or similar, to scrape up any runny areas. Remove the bulk of the poop and dispose of it. Use the scraper or an old knife to remove any runny or smudged bits. Then use a mild water/liquid detergent mix to gently pat the stained area. Leave and treat with a pre-wash stain remover; any stain remover that says ’oxy-action’ will be sufficient. Leave on stain for about 30 minutes or more, then gently wash the affected area again with the cold soapy water. Repeat spray and rub process until stain is removed. For really stubborn stains, call in Refresh Carpet Cleaning! Can I dry flooded, wet carpet myself? It is natural to ask, ’Can I dry my water damaged carpets myself using heaters and/or equipment for hire?’. However, it must be noted there is a lot more to drying carpet than it appears on the surface. What many people do not realise is what is happening at a sub carpet level, such as with the underlay, damp floor surfaces and mould growth as a result. First, water extraction and drying must occur within the first 24 hours of the event, in order to stop mould growth and minimise damages to carpets. Professional carpet cleaners will have the latest, most efficient tools available to enable the fastest drying time possible. Wet underlay, and the subfloors must be treated as well, so damp from these do not eventually work upwards, creating conditions for mould growth to occur. Mould can begin to produce spores in as little as five days from water damaged carpets, and this can go undetected, harming the health of those living in the house. It is very important to address these issues within a few hours of the water damage, and treat areas for mould. This includes lifting the underlay and drying all damp surfaces, including the subfloors. Many people do try to dry their own carpets, not realising that surface dry does not mean dry. This is especially true in Sydney, because of the tendency towards damp weather. Towel drying and using heaters is not sufficient to thoroughly dry all affected areas. The use of drying machines, water extractors and dehumidifiers is recommended for all those wishing to dry water damaged carpets themselves. You must also be able to ascertain the extent of the water seepage, and dry the underlay and floors where needed. Refresh Carpet Cleaning can rent equipment needed for the drying process, and have very competitive hire prices which includes free delivery and pick up in the Sydney metro area. If you are going to do it yourself, ensure you get the very best advice from professionals before proceeding, and if you have any doubts about damp in your carpets, call in the experts before your carpet is unsalvageable and mould sets in.